In the United States today, more than 30% of personal loans are originated by fintech companies--not banks or credit unions. This is part of a larger trend toward new technologies for consumer-facing financial products offered by non-bank entities, co-occurring with shifts in middle-class and temporary labor. Startups operating through mobile and digital channels are also deploying artificial intelligence and machine learning to score risk and push and personalize products to consumers in new ways, using new sources of data to do so. 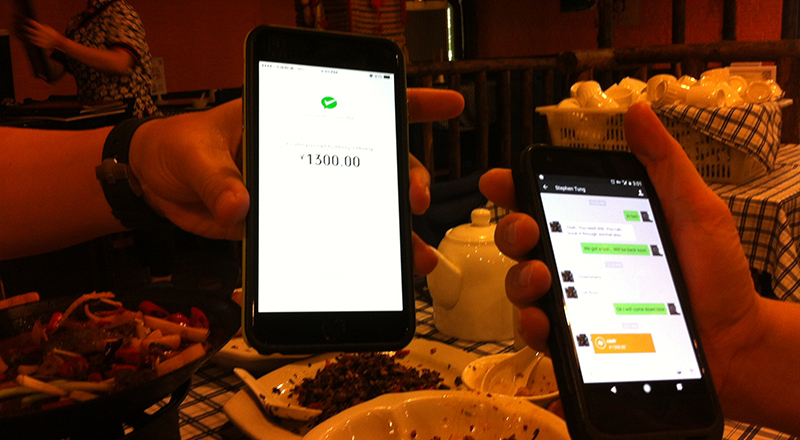 Meanwhile, there has been a veritable explosion of consumer adoption of mobile payment services like WeChat Pay and Alipay in China. With nearly 800 million Internet users, China is poised to take the lead in fintech domains as diverse as insurance and personal financial management. China is also flexing its muscles in deep learning and digital identity management, setting the stage for a range of innovations across insurance, banking, lending, and payment, to say nothing of the proposed social credit system (社会信用体系 shèhuì xìnyòng tǐxì). What is the future of fintech in China and the US, as products on either side of the Pacific Ocean serve as inspiration for each other or reach into new markets, despite the rumblings of a trade war? How will new payment and personal financial technologies, new methods of evaluating and distributing risk, and changes in the overall economic situation of workers in each country affect the development of new products like insurtech, agtech, robo-advising, and blockchain, shaking up legacy players in the process? This year's California-Shanghai Innovation Dialogues will bring together scholars, policymakers, and industry professionals to consider how China's rising middle class, on the one hand, and shifts in the US labor market from stable to "gig" employment, on the other, intersect with emerging technologies to provide consumer-facing financial products and services, from insurance to consumer loans. Keynotes will include Amrit Pal, Product Manager, Square; Mara Hvistendahl, National Fellow, New America, and Contributing Correspondent, Science, with additional work featured in The Atlantic, The New York Times, Popular Science, Scientific American, The Wall Street Journal, Wired, and others; and individuals representing China's policy community, to be announced. We invite abstracts of 250 words from scholars at academic institutions and other researchers (at non-governmental organizations, think tanks, design or IT firms, international development organizations, etc.) from any country who are studying US/China fintech, insurtech, regtech, and related industries. We will consider abstracts from Ph.D. candidates and recent Ph.D.s, as well as established scholars. Participants are welcome from all relevant fields, but with an emphasis on the social, economic, and policy implications of new technologies in financial services. Possible themes include: WeChat and Alipay in China and the Wider World; New Fintech for Managing Income Instability or for New Middle Classes; Models for and Implications of Insurtech; Big Data, Social Credit, and Alternative Risk Scoring in China and the US; Consumer Debt and Fringe Financial Services, from Check Cashers to Loan Sharks; Credit Cards, Prepaid Cards, and Loyalty; China/US Blockchain Developments; Philanthrotech and New Technologies of Giving. Participants whose abstracts are accepted will be given 15 minutes to present their work, on panels grouped by topic, with ample time for questions and discussion. The goal is to assemble scholars working in these new areas and to help form a community of inquiry into the implications of new technologies in consumer-facing fintech between the US and China. Individuals whose abstracts are selected for inclusion will receive two nights accommodation in Irvine, California, as well as travel costs (economy airfare plus ground transportation) and all meals while at the conference. Acceptance decisions will be announced by July 23 and those selected will have one week to confirm their participation. Please include with your abstract your full name, title, institutional affiliation, and contact information. Abstracts should be submitted to https://goo.gl/forms/JNZnAiKjhDUasRt32. For inquiries, please contact Jenny Fan, 949.824.2284 or imtfi@uci.edu.